Although there’s no doubt that Middle-earth: Shadow of War is one meaty video game with plenty of content for you to chew through, developer Monolith has announced that yet more content is coming to the game. Actually, those who purchased the game’s Expansion Pass will be getting quite a bit of DLC in the months to come. For starters, there’s the Slaughter tribe DLC, which will be available in November for Expansion Pass owners. This adds a new vicious orc tribe to the game, and like its name suggests, these guys are fond of slicing and dicing their enemies in a brutal way, and will surely be worthy opponents for protagonist Talion and his allies in Mordor. The Outlaw tribe DLC is also coming to Shadow of War a month later, in December. These guys are outcasts who shun both their orc kin and Sauron himself, but this does not make them any less dangerous than their counterparts from the Slaughter tribe as the trailer below makes clear. Both the Slaughter and Outlaw tribe DLCs add new missions to the game, legendary and epic orcs, and a new, specific fortress for each tribe. These guys will be fully integrated in the game’s Nemesis system, meaning there will be plenty more gameplay possibilities in Shadow of War’s open world for you to enjoy. Most noteworthy, though, is that there will be two story expansions available for owners of the season pass to play through, which will flesh out Shadow of War’s story. The first of this is the “Blade of Galadriel”, in which you play the elven assassin Eltariel (aka the Blade of Galadriel), who’s on a mission to take down the Nazgul (this story expansion is coming to the game in February 2018). 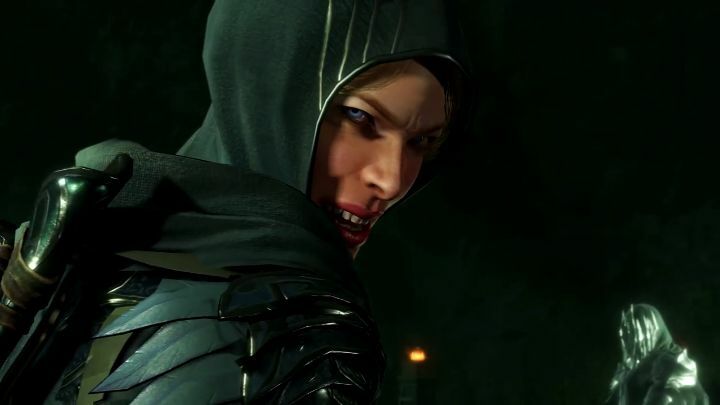 Playing as Eltariel, you will be able to chop enemies to pieces using her twin elven blades, as well as pound orcs to submission with her “Light of Galadriel” special power. This story expansion also adds 8 new legendary orcs to the main story campaign, ready to die by your sword (if you have what it takes to defeat these opponents, that is…). Finally, there’s another story DLC in the pipeline named the “Desolation of Mordor”. Here you play as Baranor, battling a new orc threat from the east in the entirely new desert region of Lithlad. What’s interesting about this story expansion (which will be released in May 2018) is that you lack Talion’s wraith powers making survival in Mordor harder, but at least can count on your ally Torvin, the Dwarven Hunter, who will be able to craft combat gear for you including powerful new shields with which to counter those deadly orc blows. So, Middle-earth: Shadow of War fans certainly have a lot to look forward to in the coming months, then, and those who get Shadow of War’s Expansion Pass will get plenty more content to enjoy in Warner Bros.’ latest Lord of the Rings game this year and the next. Next: Is season 2 of Hitman still in the works?